Most people just consider them to be a nuisance, but they can transmit all sorts of nasty diseases including Dengue Fever, Yellow Fever, Japanese encephalitis and Malaria. There are approximately 25,000 cases of malaria reported in Thailand every year and while the country has made huge progress in tackling the disease, it is still a problem in some rural areas, particularly on the borders of Burma, Laos and Cambodia. 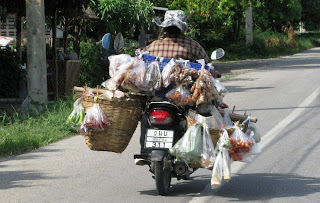 If you intend to spend your holiday sitting in Pattaya’s go go bars or sunbathing on the beaches of Koh Samui then it is highly unlikely you will contract malaria, but if you are considering jungle trekking or staying in remote areas, then it’s wise to take the necessary medication and use mosquito nets and repellent. Some of the insects in Thailand are the stuff of nightmares and just looking at pictures of them will give you sleepless nights, never mind seeing them in the flesh!! Examples of these monsters include centipedes, spiders, leeches and caterpillars. 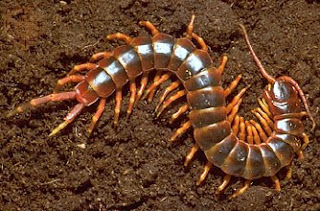 The giant centipede can grow to over 20cms long and can be found in both urban and rural areas and although its bite is not generally fatal, it will require a trip to the hospital for a tetanus shot and some seriously strong pain-killers!!! There are also several species of spiders and tarantulas that can deliver powerful bites. The bird spider can grow to over 10cm and its bite will cause pain and swelling to the affected area. Thankfully it is not fatal, but some people do suffer from allergic reactions to the venom. There are many snake species in Thailand and the majority are non-venomous or pose little threat to humans. However, there are plenty of poisonous snakes whose bite can prove fatal. These include Cobras, Kraits, Coral snakes, vipers and sea snakes which are a real “reptilian rogue’s gallery”. Approximately 7000 Thais are bitten by poisonous snakes each year, but thanks to medical advances very few of them actually die and cases of foreign tourists getting bitten are, mercifully, few and far between. Most people think snakes are confined to the countryside, but, it always pays to be careful even when exploring in Thailand’s cities, as there are regular reports in the media about venomous snakes in Bangkok and other urban areas. I have included this link, which describes in detail, the snakes that should be avoided!!! 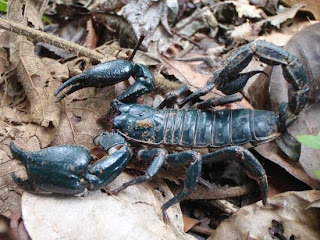 If the thought of bugs and creepy-crawlies has put you off visiting rural Thailand and you fancy relaxing day at the beach instead, then I must warn you that there are plenty of dangers lurking here too!!! If you have a shark phobia then I won’t mention that Tiger and Bull sharks are found in the seas around Thailand or that box jelly fish are regular visitors to country’s shores!!! Cone shells and several types of poisonous fish, including the lion fish and rock fish complete the line-up of potentially dangerous sea creatures. For a more detailed study this weblink is very useful…….. Stray dogs are also a problem in Thailand and they can be intimidating when roaming in large packs, particularly at night and they will bite if they feel threatened. Although most stray dogs are fairly docile I would always be wary around them, as they can carry rabies. Completing the list of dangerous animals are monkeys. Wild monkeys are naturally wary of humans and rarely come in to contact with us, but the monkeys that are found at temples and other tourists sites have lost their fear of humans. This makes them more likely to damage cars, steal food or generally be nuisance. Yes, they may look cute and cuddly but they can also be very aggressive and sometimes attack humans!!! The following link tells the story of a British tourist who was attacked a group of monkeys at a well known tourist destination!!! Here's a link, (if it works) to more information about the giant centipede, they really are a scary looking critter.